Long post ahead. Spoilers for ‘With The Light’ too. You’ve been warned. Remember how crazy the internet went when Harry Potter finished, then again when the movies wrapped up too? End of Series-itis. I’ve got it again for the amazing ‘With The Light’ by Keiko Tobe. I’ve already posted about the series ending and how I felt about that, but I wanted a more positive post to follow up, so I’m going to tell you about what it was that made ‘With The Light’ so magical to me. 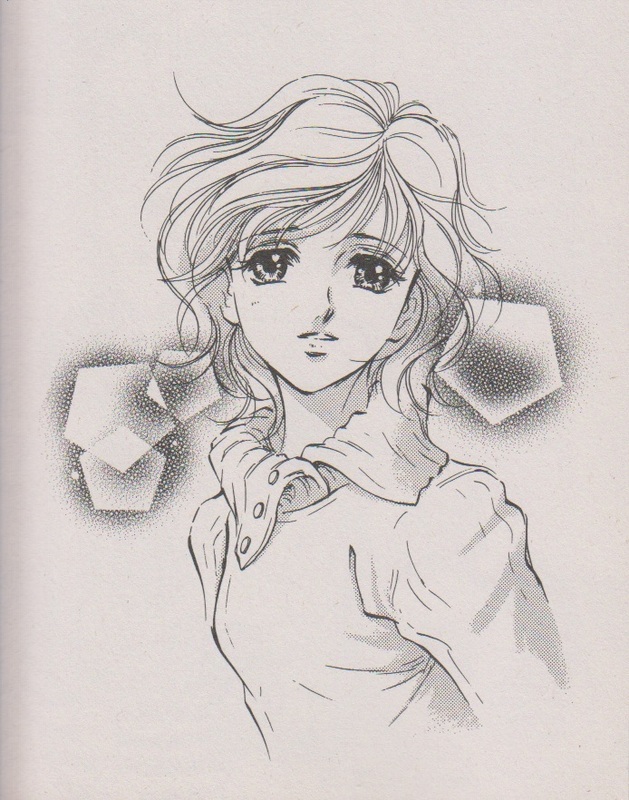 The point of view character is Sachiko, newly married to her dream guy. She has given birth to a beautiful baby boy at sunrise and she holds him in her arms as the sun’s light fills the world. 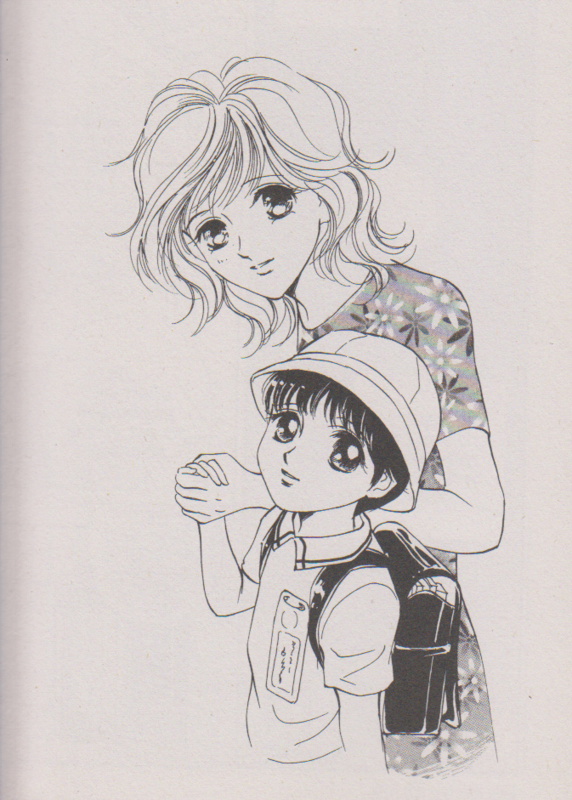 She calls her son, Hikaru, because he came to her with the light. 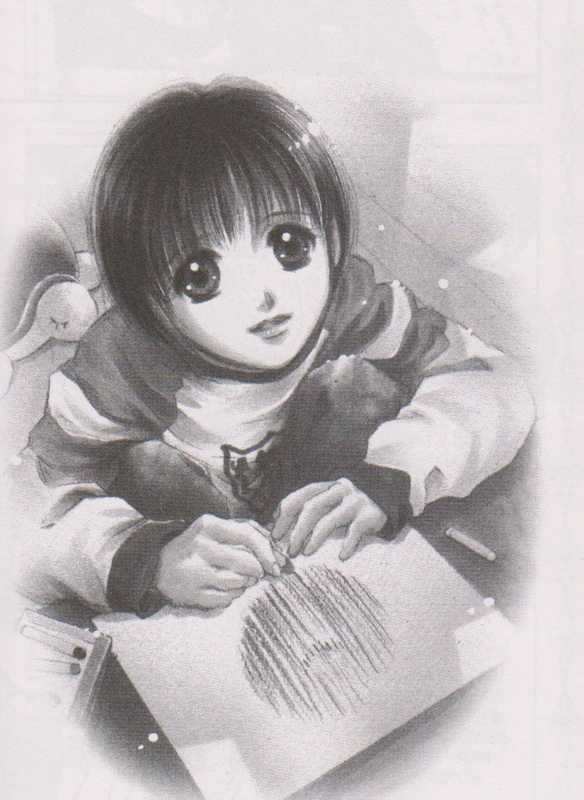 She learns early on that Hikaru is autistic, but denies reality at first. This causes such angst for her and her husband (Masato). When Sachiko chooses to accept the truth and do her best is when she begins to shine as a character. 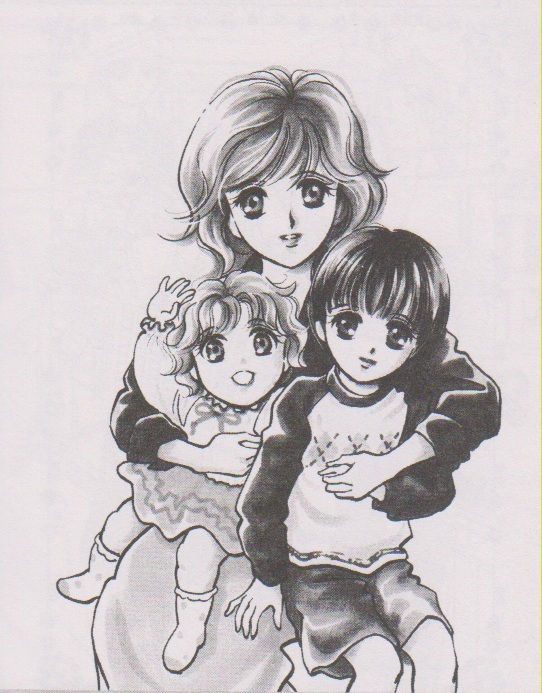 Sachiko is an inspiring mother and a strong woman. Some people may have trouble seeing a stay-at-home mum as a ‘strong female character’, but Sachiko proves a quiet determination is just as impressive as a sword wielding woman in men’s clothing is in a fantasy setting. Sachiko hangs in there, trying new things and when that doesn’t work, coming at the problem from a different angle and never giving up. How is that not inspiring? Personally I wish I was half the mum Sachiko is – and I don’t think I’m a bad mum at all, so that’s how great I think she is. She even pulls off being a wife well during this too. The Azuma’s family dynamic is something to goal for, an understanding and helpful husband who works hard, an affectionate and determined mother, a little sister with the pluck to stand up to her friends despite the consequences when they tease her autistic brother. They are close knit and talk about their problems (usually) working together to achieve their goals and always facing the future with a united front. It’s hard not to see them as a good example of a family. Another wonderful thing Tobe-sensei does with her writing is to bring back ‘bit characters’ for wonderful minor story arcs and she’ll bring them back regularly. Children Hikaru attends day care with go through elementary school with him and lament when they won’t be attending junior high together. There are characters like Tanaka, a handsome young man who ends up becoming an entertainer with Johnnys (a huge entertainment company in Japan with all the hottest singers and actors); Oota-san his(Tanaka’s) next door neighbour, good friend and possibly even first love(? 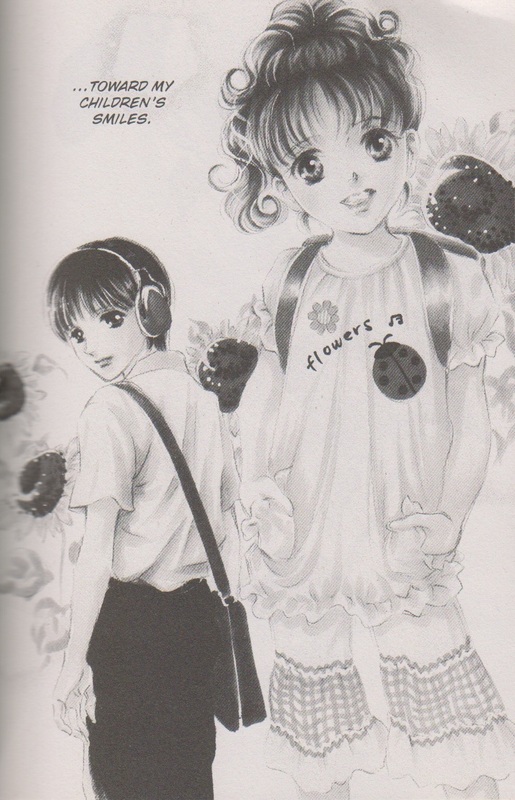 ); Nobuaki, an energetic and wild boy who is inseparable friends with Hikaru after a rocky start in day-care; Moe-chan, a sweet girl who plans on being a nurse when she grows up (and who I always secretly wished would one day be Hikaru’s girlfriend, but that’s just me being a giggly romance lover); Miyu-chan, Hikaru’s classmate in special education whose mother initially didn’t even know what autism was; Eri-chan, the girl whose silence caused Hikaru’s first major injury but who proves you can rise above abuse with enough strength. The list goes on, including other classmates, teachers who can be antagonistic (or at the very least difficult) but have good reasons underlying, neighbours, shop keepers and more. Sometimes the ‘bit character’ will disappear for a few chapters (or longer) but they’ll reappear with more of their story to tell if you give them enough time. These stories are interesting and challenging and more than once I’ve felt the content would have been compelling enough to feature as its own story separate entirely from this if the author had wanted to do it that way. It’s hard not to admire character creation of this calibre when you’re a writer but I’m sure even as a reader it is still a treasure to enjoy. It is amazing to learn about autism so organically. To learn by watching the Azuma’s teaches you in an interesting way. I knew basically nothing about autism before picking up volume one, and while I’m not claiming to be an expert now, I find myself understanding much more easily when a parent with an autistic child comes into the store needing assistance. 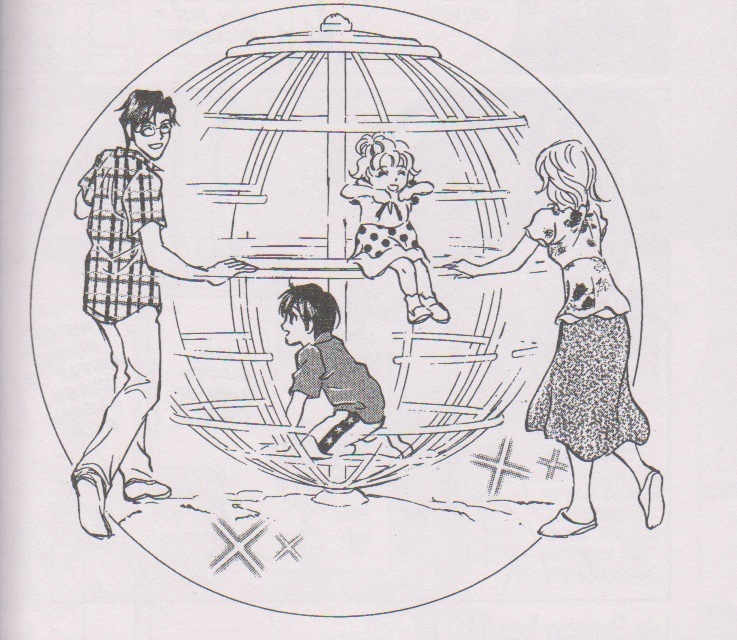 The teaching methods the Azuma’s employ for Hikaru are such great ideas, and many of them can be applied to neurotypical children too (as the birth of Kanon demonstrates within the Azuma family). I’m looking forward to using a few of these ideas as Xander grows up. In some ways Japan seems to be dramatically behind the western world in its treatment of those who are autistic or disabled. Tobe-sensei points this out herself in her last chapters when relatives from America visit them and talk of how the Americans behave in regards to an autistic child in an airport. There are great systems, like the government’s policy that public companies must have a certain percentage of disabled employees or be fined (and the fine works out more expensive than the extra wages would be), but general knowledge is extremely limited and many family members feel ashamed and try to hide the disabled individual so others will not comment. Sachiko is always up front about Hikaru’s autism, but her mother in law is ashamed of it, trying to avoid interaction with Hikaru then later, after learning to love him, hides him away so a nosy neighbour doesn’t tell the rest of the neighbourhood. Also, the word autism in Japanese translates as ‘closed personality disorder’, leading many people to believe it is like depression. This gives people the wrong idea from the get go, so Sachiko often needs to describe things more deeply. I’m always intrigued by Japanese culture, so learning these things is a treat for me, even if some of these facts are ‘negatives’ it’s all interesting to learn. Now for the shallow reason, the gorgeous artwork. I’m sad that the translation publisher never printed a single colour page, despite the fact it’s obvious Tobe-sensei did plenty of colour pages and they’ve done colour pages for other publications. Hey Yen Press! Make a With the Light artbook. I swear I’ll buy two! So there is lots to love about the series. The plot is a roller coaster, where you want to cry first from sadness, then frustration, then happiness. It’s also interesting to watch Sachiko as she keeps on slogging forward and see how she faces each obstacle. This is a series I wish could reach more people, but I know many people don’t like ‘sequential art’ (fancy word for comics) so may ignore this series purely because of that. I hope that if anything I’ve said over the last two posts has interested you in the series that you don’t hesitate to try it out. If you want to read my reviews of each volume please check out my Goodreads account. Volume 1, 2, 3, 4, 5, 6, 7 and 8. And no, no one is paying me for this promotion. All pictures were scanned from my copies of ‘With The Light’ and are being used only as examples of the beautiful art within.